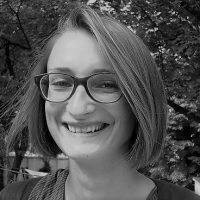 Katarzyna Sloboda is a curator in an Art Museum, where she leads the “City Ecologies” programme together with Aleksandra Jach. She is also a member of a food cooperative. Food cooperatives are a way of ensuring a supply of local and socially sustainable food. However the barriers to their development should not be underestimated, including opposition from middlemen who have the most to loose. Looking at experiences in Brazil, Poland and the US, Katarzyna S?oboda charts a way forward.